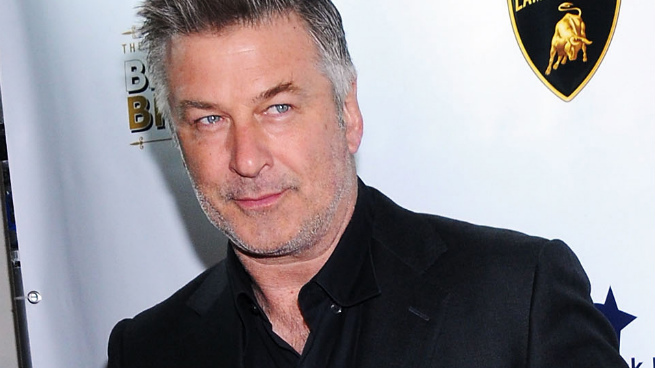 In 2008, Alec Baldwin was profiled by The New Yorker, and he proved to be an immensely pleasurable subject. Because he was so devilishly charming, as he often is onscreen, and he might be in real life as well? No, not at all! It was because he was super depressing and utterly convinced he was a total failure. The piece came in the middle of his 30 Rock run — by most accounts, a revelatory late-career comedy turn that made him only more loved and appreciated — and so reading about his endless self-castigation was bizarre and fascinating. And the reason I’m bringing up that classic New Yorker profile is because, in the annals of Baldwin oversharing, it’s now been remarkably, totally supplanted. In an as-told-to essay in this week’s New York, Baldwin — to use a colloquialism here — goes in. Rattling through oh-so-many of his recent dustups — from his Shia LaBeouf quibbles (how quaint now!) to his firing from MSNBC, from his disputed use of homophobic slurs to his perma-troubles with the paparazzi — Baldwin spares none, whipping up a frenzy of slights, grudges, and brand-new enemies (Rachel Maddow, you are not getting a Christmas card this year). Please, please read it. The evocative headline is “Good-bye, Public Life,” and while Baldwin’s never quite as definitive in the piece itself, he does very bluntly declare an inability to continue processing things as is: “There’s a way I could have done things differently. I know that. If I offended anyone along the way, I do apologize. But the solution for me now is: I’ve lived this for 30 years, I’m done with it.” (Then again, immediately after: “And, admittedly, this is how I feel in February of 2014.”) The takeaway? He’s leaving New York? Maybe? Some have, and will continue, to knock Baldwin for the big to-do. If you wanna avoid public life, how about just … avoiding public life? But that’s exactly the point: This is so far from sensible that it’s beautiful. An angry first-person magazine piece, taking shots at targets old and new? Certainly, Baldwin knows this will only get everything all the more riled up. And so I say well done, my dude. Because, whatever else, this is a great read, lacerating and weird and almost pathological. Consciously or not, he seems to know the no. 1 rule here: If you’re gonna get a little nuts, entertain us while you’re doing it. You want Alec Baldwin to just shut the hell up? What fun would that be?